Savitry Greens 2, a perfect resistant structure with modern electric architecture located in the strategic location of the Chandigarh-Ambala Highway. 3 bhk Savitry Greens 2 has an easy connectivity to International Airport, World Class Shopping & Hospitality. 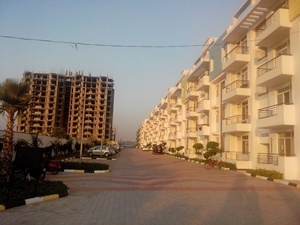 Chandigarh railway station , Bus stand are just far away from the township.Residents will have ample of shopping facilities, Metro Cash and Carry, Walmart Best Price are close to the township.PGI, Govt. Medical College and Hospital Sector 32 are near to the project to providing medical facilities.